While Common Core standards for Health Education and PE have not, at the time of this writing, been established, our curricula have been developed to align wherever possible to Common Core Standards in reading, writing, speaking and listening, and language. To assist the teacher in identifying links to Common Core Standards, each lesson provides (in the header) the Common Core Anchor Standards which are represented in that lesson. 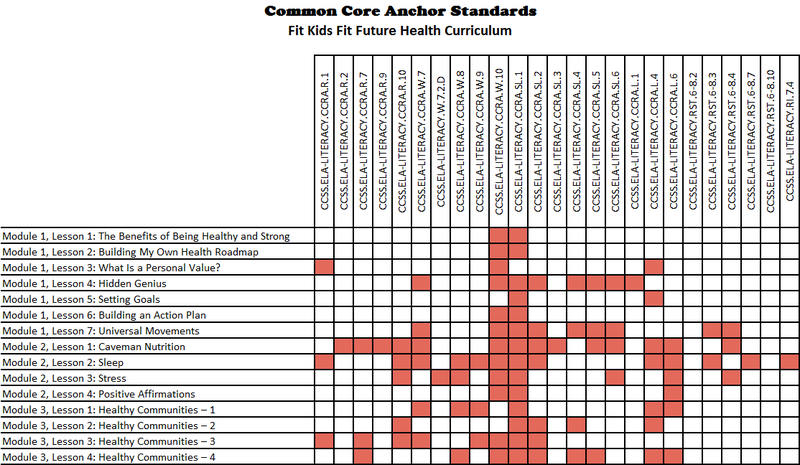 Anchor Standards (CCRA) rather than Common Core Standards (CCLS) are referenced, since these curricula can be adapted to students from Grades K through 12 and are not grade specific. To save space and unnecessary repetition, we cite only the reference number for the Common Core Anchor Standards in the header. The complete wording for each standard used is printed on a Common Core Standards page in the introduction to the curricula. All lessons have been written by experienced teachers according to the national standards prescribed by their respective professional organizations. The standards incorporated in each lesson are clearly displayed by number in the header. The complete wording for each standard is printed on the Professional Standards page in the introduction to the curricula. 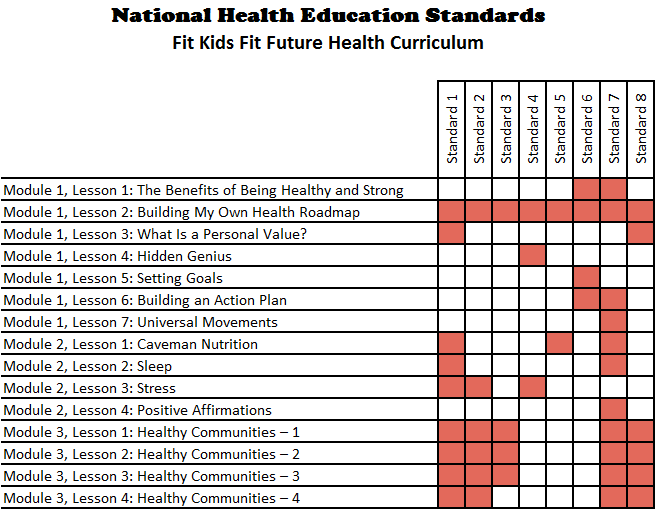 To assist the teacher in developing lesson plans for observation, evaluation and assessment, the Health curriculum also articulates at the beginning of each Focus Activity the educational best practices that have been incorporated in the activity. 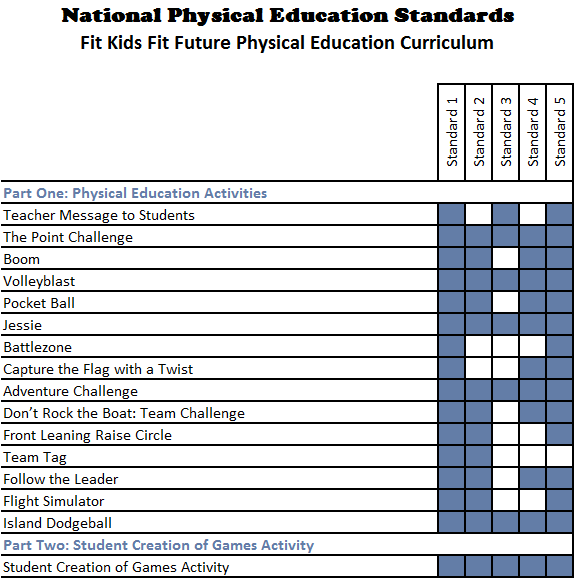 Physical Education activities require students to create from principles, apply learning to new situations, become education leaders, and more. 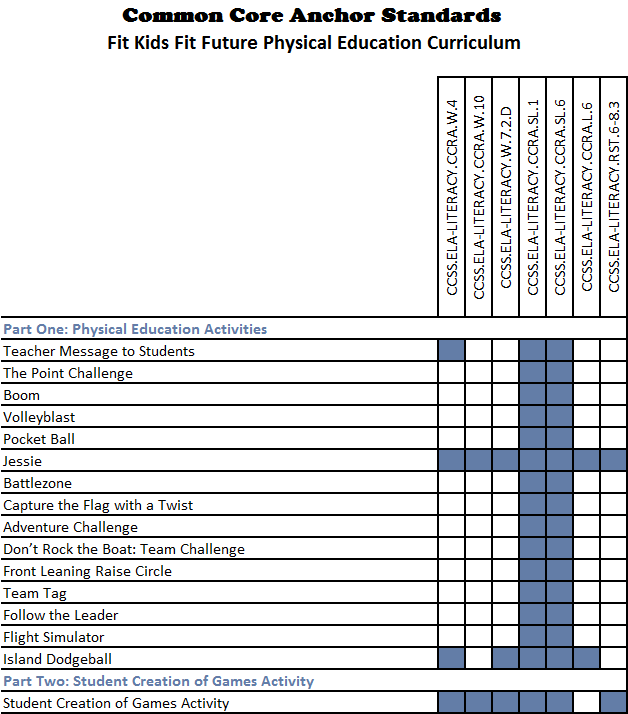 Health curriculum activities challenge students to analyze information, synthesize ideas, compare and contrast concepts, write from sources, apply principles to real life, and more.